Journal of Chiropratic and Osteopathy. 2007 Dec 19;15:20. In this paper we follow a 21-year-old female that was in a head-on collision where a truck traveling at 55mph struck the front left corner of her car while she was going 45 mph. The female patient was knocked unconscious as the speeds of the collision are added together and come out to roughly a 100mph accident! That energy travels directly through the car and into your body. This is why an Upper Cervical Chiropractic specialist should be consulted directly after a patient is cleared for fractures and serious soft tissue injury. Paramedics rushed her to the Emergency Room where they proceeded to take x-rays of her neck (2D of bone) and a CT of her neck (3D of bone). The reports came back negative. She didn’t have any fractures or large tears or bleeds that they could see so they gave her a referral for a neurologist whom she saw quickly and sent her home with migraine medication. Two days after the car accident, she rates her head and neck pain 9 on a scale of 1-10, and she is suffering from dizziness and incredible restriction in her neck. The chiropractor checks her spine by checking range of motion and doing orthopedic exams, which find a positive Valsalva test and some positive neurologic findings. The chiropractor noticed that the muscles in the patient’s neck were very stiff and that something wasn’t quite adding up. The Chiropractor took flexion/extension x-rays to look for soft tissue injuries in the cervical spine and those came back negative. So next he referred her out for an MRI of the Cervical spine and found a Syrinx (central spinal cord injury) from C2-C7, a left alar ligament with a left lateral translation of C1 vertebra under the occiput (Because the Alar ligament checks lateral movement of C1), and a Myodural bridge injury between the sub occipital muscle called the Rectus Capitus Posterior Minor (RCPMi) and the spinal cord (because RCPMi) was in spasm. Sometimes it takes a great investigator to get to the bottom of what’s happening in a cervical whiplash injury. Upper Cervical chiropractors are great at getting to the bottom of these types of problems! Immediately the Chiropractor gently corrected the position of C1 and put the patient on a care plan of three visits per week for six weeks. At the end of six weeks the patient had a 75% reduction in symptoms. After six months under conservative Chiropractic care the patient had a complete resolution of symptoms! So if you have been struggling with symptoms like headaches, dizziness, neck pain, or low back pain after a whiplash accident, reach out to the closest Upper Cervical Chiropractor to you! George, a 75-year-old male, came into our office in February with neck pain, throbbing headaches in the back of the head, decreased range of motion in the neck, left foot numbness, and left arm weakness. Some of these symptoms were a result of a stroke in 1993. George also said his head felt heavy and that he had a hard time holding it up. In January of 2017 George had started to develop what are known as "drop attacks" while traveling and flying on a plane. Drop attacks are episodes that can include: vertigo, dizziness, nausea, and vomiting. These left him exhausted with little to no energy and hearing loss in both ears. When we met George, he was having drop attacks every three or four days. He had been told that he may have Meniere's disease and was given a medication called meclizine to help with the drop attacks. They were occurring more and more frequently and the effect of the meclizine was wearing off faster and faster. George's condition had gotten to the point that George couldn’t go out any more because of the unpredictability and frequency of his debilitating drop attacks. His daughters did some research online and found that Blair Upper Cervical Chiropractic care has helped with some Meniere's cases. George and his daughters decided it was time to try something different. When they came in for the initial evaluation, we measured George's posture, range of motion in his neck, balance, arm strength, and spinal misalignment in his upper cervical spine. By analyzing these tests and exams, we came up with best way to balance George's upper neck gently and carefully with a vectored correction. After his first correction we noticed that his energy increased, his balance improved, he had no more nausea, his neck pain decreased and his hearing started to return. George's gate was even better when he walked and stood. After six months of upper cervical chiropractic care, George has only received four upper cervical corrections. We are happy to note that George is back to enjoying gardening, he has been able to return to work, has stopped taking his meclizine, his walking gate is more balanced, his energy is back, and he just got back from a vacation with his daughters where he flew on a plane without drop attacks or issues! You can even see that over time, he was able to stand with his feet closer together (see image below showing the difference between his initial posture picture in February and his latest posture picture taken in August). If you know of someone suffering from Meniere's disease, vertigo nausea, vomiting, headaches or neck pain, an upper cervical specialist may be able help! We're at it again! Clearly we love research studies and finding case reports about Upper Cervical Care. As medical professionals it's so important to stay informed, which helps us be better chiropractors and healthcare providers for you! Today we're looking at an article titled "Management of Cervical Disc Herniation with Upper Cervical Chiropractic Care" that was published in 1998 in the Journal of Manipulative and Physiological Therapeutics by Dr. Krik Eriksen. This case report follows a 34-year-old male with severe neck and lower back pain due to a cervical disc herniation. Up to this point this was the first paper that tracked the progression of a patient with a Cervical Disc Herniation of the Nucleus Pulposus and chiropractic care. The diagnosis was confirmed with use of both an MRI and a Needle EMG. When the patient began care with an upper cervical chiropractor, his pain was as bad as it gets. It was rated a 10 out of 10 (on a scale of 1-10, 10 being the worst). The pain was also rated at 76% on the Neck Pain Disability Index Questionnaire. The scale is designed to show how the neck pain has affected the patient's ability to manage their everyday activities, 0% being no issues with daily function and 100% being complete inability to function. The patient had been under medical care for one year, including Physical Therapy. After the first upper cervical correction, his pain was substantially lower. After one month of care, he reported only a 2 out of 10 on the pain scale as well as a 26% on the neck pain disability index questionnaire, which was a significant improvement. Also he had a needle EMG that reported his neurologic findings had resolved. One year later, he had only needed to be adjusted two times and his symptoms were still all clear and confirmed from another Needle EMG by the medical doctor. This may only be one case report, given that his results were so statistically significant and that his neck and lower back pain were drastically reduced through Upper Cervical Chiropractic Care, this shows that there may be some link between upper cervical spinal instability and lower cervical spine instability and that this relationship should be investigated further. Dr. Erin Elster is an Upper Cervical Chiropractor that has produced many peer reviewed articles on Upper Cervical Chiropractic and conditions like Multiple Sclerosis and Parkinson’s Disease such as, "Upper cervical chiropractic management of a patient with Parkinson's disease: a case report". This week Dr. Evans posted a Facebook live video reviewing this paper, published in the Journal of Manipulative and Physiological Therapeutics in 2000, is a case report she produced on the successful management of Parkinson’s Disease in a 60-year-old male with Upper Cervical Chiropractic Care. The patient in Dr. Elster's paper was a male that was diagnosed with Parkinson's disease at age 53 after a twitch developed in his left fifth finger. “He later developed rigidity in his left leg, body tremor, slurring of speech, and memory loss among other findings”. Parkinson’s Disease affects the central nervous system, by destroying the substantia nigra. The substantia nigra sends messages to secrete dopamine in the brain. It is possible that this lack of dopamine allows the brain to send continuous excitatory signals. This constant signal induces Parkinson's symptoms such as rigidity and tremors. It is hypothesized that Parkinson’s Disease symptoms begin to appear after 80% of the dopamine producing cells in the substantia nigra are destroyed. Parkinson’s Disease symptoms present as a tremor of the hand on one side of the body and over time, resting tremors develop and can be accompanied by slowness, stiffness, and lack of arm swing on the affected side. The use of the Unified Parkinson's Disease Rating Scale (UPDRS) was used to monitor the progress of the patient by a movement specialist. The UPDRS entrance symptoms of the patient were tremor, rigidity, and depression as well as a dragging left foot. “According to a comparison between beginning and final UPDRS evaluations, this patient showed an overall improvement of 43% after the third month of care”. An important piece of this paper is a recognition that the patient had a previous history of traumatic head and neck injuries. An association is drawn by Dr. Elster that head and neck injuries may precede the onset of some chronic neurodegenerative diseases like Parkinson’s disease. Dr. Elster points out that this patient had a history of six prior head and neck injuries that were from concussions in football and motor vehicle accidents. Within the medical literature there is a large amount of evidence that supports a trauma induced etiology for Parkinson’s Disease. However, the medical literature does not define the mechanism for the onset of Parkinson’s Disease. In this paper Dr. Elster proposes a mechanism of onset that has to do with an injury to the Upper Cervical spine. That then sends poor messages to the brain about what’s going on with the body, this is called mechanoreception. Mechanoreceptors are sensors within the body that sense pressure and distortions in position of the joints in the spine. This paper shows successful outcomes of a patient with Parkinson’s Disease treated with upper cervical chiropractic care. At the time it was written, this was the first case report involving chiropractic and Parkinson’s disease in the medical literature. Further investigation into traumatic injury of the upper cervical spine as a possible etiology of Parkinson's disease should be pursued. This week Dr. Evans highlighted a study titled "Preliminary results after Upper Cervical Chiropractic Care in patients with chronic cerebrospinal venous insufficiency (CCSVI) and Multiple Sclerosis (MS)." A link to the paper on the study is below. The purpose of the study was to evaluate the impact of Upper Cervical Care on patients with CCSVI and MS by looking at clinical and x-ray results. Multiple Sclerosis or MS is a neurological autoimmune disease that attacks the fat cells of the Central nervous system. This results in a loss of nerve function and body function. Chronic Cerebrospinal venous insufficiency or CCSVI is a theory that was developed by an Italian doctor who posed that a deficiency in the venous outflow of blood from the skull and neck can actually cause a backup of fluid in the brain. He theorized that this causes a whole list of problems and the that answer was to put a stent in the Jugular vein to open the vein and allow for the blood to properly flow. The study looked at 77 patients before and after receiving about 4 months of Upper Cervical Chiropractic care using x-rays and evaluation of clinical symptoms. What they found was a statistically significant clinical improvement following treatment. This is a preliminary study and the results were very positive. It would seem that Upper Cervical Chiropractic care may be a conservative and non-invasive approach to balancing the fluid flow away from the brain, which in turn allows the central nervous system to function better. Meet Jen. Jen came into our office in April with Post Concussion Symptoms of fatigue, brain fog, daily headaches, migraines, dizziness, memory loss, neck pain, low back pain and sciatica. Post concussion syndrome (or PCS) is diagnosed when a concussion's symptoms linger for longer than 30 days. Jen had been dealing with migraines since she was in first grade, and chronic daily headaches nearly every day. She also suffered a concussion in February while playing soccer and had a couple of concussions prior to that, so the head and neck problems were starting to pile up. After careful analysis and a gentle correction to align her upper neck, her body is coming back to balance. Post concussion syndrome can last for months or even years so when Jen's body started to heal after the very first correction she knew she was in the right place. After being under care for eight weeks, Jen's migraines and headaches that she's had since first grade have mostly resolved . She has more energy and is able to get through a full work week without calling out and feels more clear when she is at work. Post concussion symptoms, headaches and migraines aren't ruling her life anymore! A paper titled "Symptomatic Reactions, Clinical Outcomes and Patient Satisfaction Associated with Upper Cervical Chiropractic Care: A Prospective, Multicenter, Cohort Study"; was published in the Journal of Musculoskeletal Disorders in 2011 (see link below). Data was collected at baseline and after 2 weeks of care. Subclinical status for pain and disability was defined as <3 on Numerical rating scale and <10% respectively. Symptomatic reaction was defined as a new complaint or a worsening of the complaint >30 % on a Numerical rating scale of 0-10 and was less than 24 hours after an upper cervical correction. There were 4,920 total office visits for those 1,090 patients, which is 4.5 office visits per patient over approximately two weeks. There were a total of 2,653 corrections (2.4 per patient) over 17 days. So, patients only needed to have an adjustment at about half of their visits, which means when they weren't being adjusted they were holding their alignment. 31 % of the 1,090 patients (383 patients) had a symptomatic reaction and 5.1% of the total patients (56 patients) had an intense symptomatic reaction. Outcome assessments were significantly improved for neck pain and disability, headache, midback pain and low back pain. 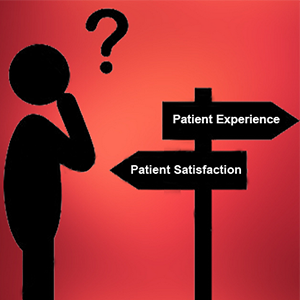 Following care, patients also reported a high level of patient satisfaction with a mean of 9.1/10. The 83 Upper Cervical chiropractors used in the study had administered over 5 million corrections over their careers with out a reported incidence of a serious adverse event. Upper cervical chiropractic care may have a fairly common occurrence of mild intensity symptomatic reaction for a short period of time less than 24 hours following an upper cervical correction. However, outcome assessments were significantly improved with just less than 3 weeks of care with a high level of patient satisfaction. The preliminary data from this study shows that the benefits of upper cervical chiropractic care outweigh the risks! Most of us have relied on the GPS in our smartphone or vehicle to tell us where we are and where we’re going. GPS has become standard equipment in our devices and vehicles. But that isn’t unique to smartphones and cars. Our bodies come equipped with GPS, too! There are sensory receptors called proprioceptors in your joints, skin and muscles that give you awareness of where your body is in space, which is called proprioception. This is what allows you to close your eyes and be able to touch your finger to your nose without looking in a mirror, and it is crucial for your body’s ability to balance. These receptors are all throughout the body, but there are more proprioceptors in the top of your neck, at the base of your skull, than most other places in your body. They tell your neck how to hold your head to keep your head (and eyes) level. In 2018 there was a paper published in the Journal of Oral & Facial Pain and Headache titled “Impaired Standing Balance in Individuals with Cervicogenic Headache and Migraine”. The study tested three groups of participants for standing balance and sway: 24 people with cervicogenic headaches (a neck problem that turns into a headache), 24 with Migraines, and 24 that had no symptoms. The participants were tested on either a firm or soft surface, with their eyes open or closed, and in a wide stance (feet shoulder width apart) or a narrow stance (feet together). The results showed that the migraine and cervicogenic headache groups had a much larger sway pattern than the group without symptoms. This shows a possible relationship or link between Cervicogenic headaches and migraines, and balance. This could mean that the neck proprioception is off in the people with head and neck pain, which can create problems with standing balance and coordinating movement. Chiropractors call the head and neck the upper cervical spine. For some people, cervicogenic headaches, migraines, balance issues, and proprioception problems, might all be connected in the upper cervical spine. 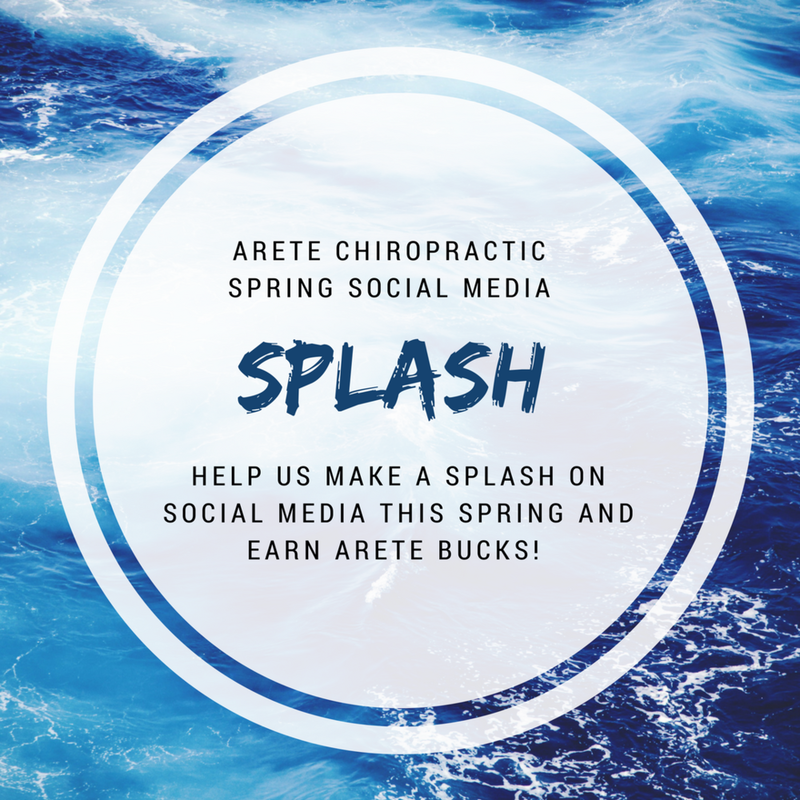 At Arete Chiropractic, we are Upper Cervical Chiropractic specialists who work with the top two cervical vertebra gently and with a specific correction to bring balance between the head and the neck. Check out this live Facebook video by Dr. Evans where he discusses the above paper as well as a 2014 paper published in Frontiers in Human Neuroscience titled "Neck Proprioception Shapes Body Orientation and Perception of Motion". Chronic Migraine headaches are caused by many different factors. An important factor is the relationship between chronic migraine headaches and the upper neck. Specifically how the base of your skull connects to the top couple of vertebrae in the cervical spine. C1 and C2, or Atlas and Axis, as they are called, are the most freely moving vertebra in the entire spine. This gives us great range of motion in our neck but also means that when the body has trauma, it is an area that is likely to mis-align. A misalignment at the skull base interferes with nerve pathways, blood flow, and cerebral spinal fluid flow. Compromise to any of these systems can result in the symptoms of migraine headaches. At Areté Chiropractic we are experts in evaluating the alignment of the head and neck and how that affects spinal health and body balance. If a misalignment in the C1-C2 vertebra is a contributing factor to migraine headache, then reducing or correcting that misalignment will make a significant difference in how your body functions. We can often help people's bodies function better with less symptoms, or even recover completely. Just ask Courtney! Courtney had been struggling with chronic headaches since she was about 12 years old. For the weeks prior to starting care at Areté she was struggling with DAILY migraine headaches. It made it difficult for her to live her life. She was also experiencing TMJ pain, constant neck, upper back, and lower back pain, and she would notice about once a day that her hands would fall asleep. You may be wondering what her headaches have to do with her hands. Nerves from the neck go into the shoulder, arm, and hand. So it was a pretty safe bet that Courtney's neck was a big piece of the pie as to why her body was expressing all these symptoms. She has been under care for over six months now and has much less spinal pain, no numbness in the hands, and she only gets a migraine when her upper neck goes out of alignment! Vertigo, Dizziness, Ringing in the ears? These are common symptoms of Meniere's Disease, a condition of the inner ear that can be significantly related to the neck. Join the doctors of Areté Chiropractic as they discuss the anatomy and disease process of this condition, as well as tips and tools to help you recover and get your life back. Areté Chiropractic is an upper cervical chiropractic office in Portsmouth NH that provides gentle, specific, and effective treatment for head and neck conditions. Utilizing state of the art 3-D imaging, the doctors help many people recover from chronic conditions like: headaches, neck pain, migraines, vertigo, whiplash, and concussion. Join them at the Atlantic Grill to see if upper cervical care could be a solution for you. Call the office at 603.380.9184 or click the button below to reserve your seat today!